Courtesy of the Sanders Institute. Today we celebrate a win. I want to thank every DSAer who has called their rep, joined a barnstorm, or participated in any way in our campaign to pressure the House of Representatives to cosponsor Medicare for All. Together we have made enormous gains in a short amount of time. 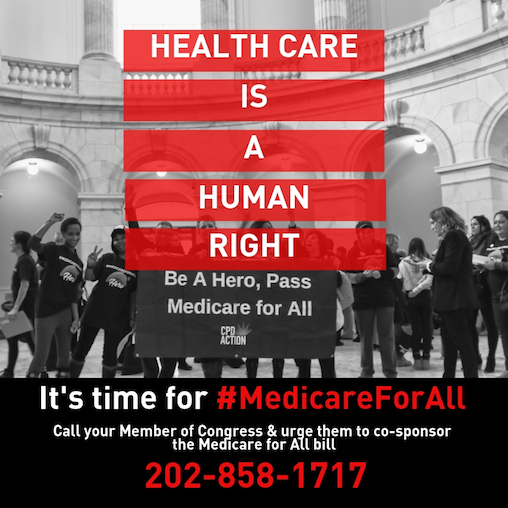 Today representative Pramila Jayapal introduced the Medicare for All Act of 2019, with over 100 cosponsors. 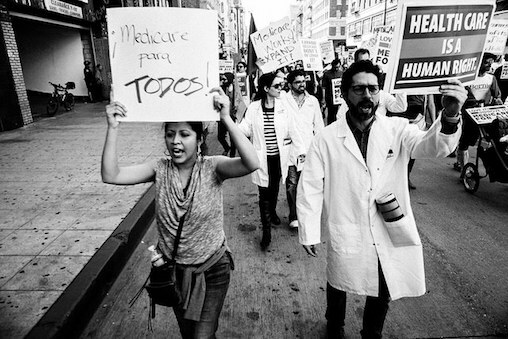 The Medicare for All Act of 2019 is a gold standard for single-payer legislation. 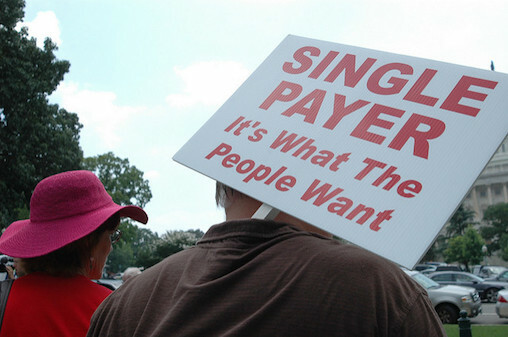 Alongside Senator Sanders’ Senate bill, it is the only legislation to meet DSA’s five principles for a truly democratic socialist single-payer system. This is a milestone in the fight for universal healthcare and an equitable society, where working people make the decisions that determine our destiny. Now our task is to build a mass organization of working people that will not give up until we win. Our pressure campaign doesn’t stop here. Next comes a floor fight in the House. 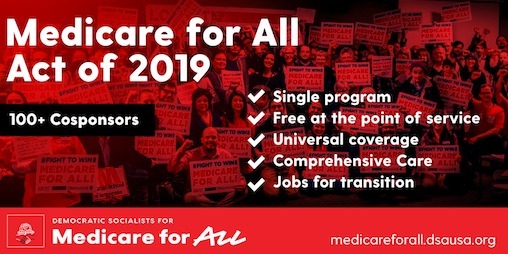 We are going to continue working alongside partners like the Labor Campaign for Single-Payer, National Nurses United, Healthcare NOW and others, to make Medicare for All a litmus test for all candidates in 2020. 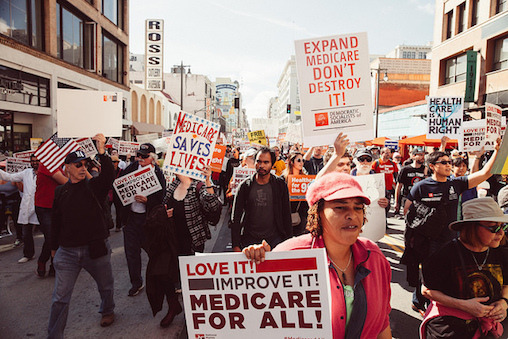 DSA is proud to endorse and celebrate Pramila Jayapal’s Medicare for All Act of 2019, which was released Wednesday with more than 100 co-sponsors. We believe this bill represents significant gains in uniting working people around a common goal, and that it is the most significant step to date toward transforming America’s broken healthcare system. Medicare for All is an increasingly popular policy proposal and is fast becoming a litmus test among Democratic primary candidates, with support from 70% of Americans, including 52% of Republicans, according to MarketWatch. Originally published at Jacobin on Oct. 11, 2017. When we talk about health care reform, it’s easy to focus on copays or premiums and forget what’s at stake: nothing less than the expansion of freedom itself. 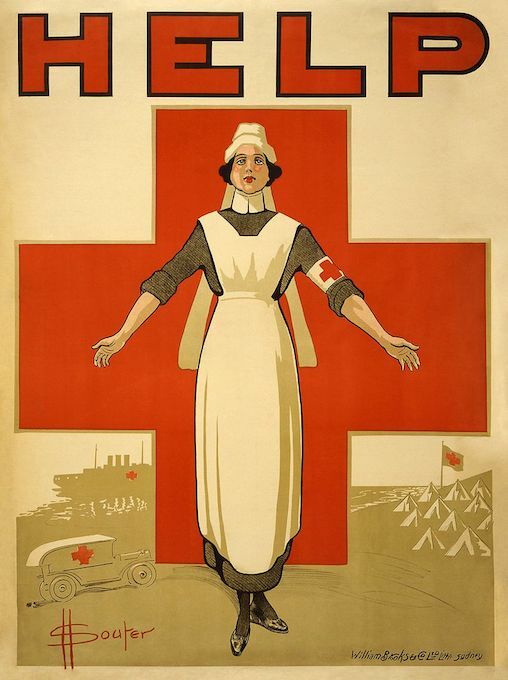 While some employer-insured Americans are satisfied with the health care they receive, tethering health insurance to employment generates enormous economic anxiety and insecurity, shaping and constraining the life choices and aspirations of millions of people. People take jobs they find otherwise undesirable and stay in ones they’d otherwise quit. They curb their demands on the job for fear of getting fired and losing their health insurance. They’re prevented from realizing their potential not just because they might not get the care they need or because they might still end up in bankruptcy, but because of the oppressive hoops they must jump through to acquire health insurance. For most Americans, a job is a job. This isn’t to say that people at all rungs of the economic ladder can’t derive meaning from their work (among non-elite professions, clergy and firefighters stand out in job satisfaction studies). But for the majority of Americans, work is more of an obligation than a passion. They do it to survive. 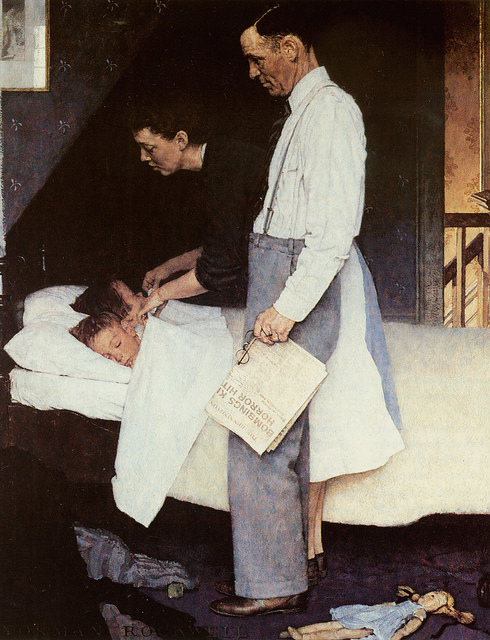 Originally published on February 7, 2019 on Common Dreams. 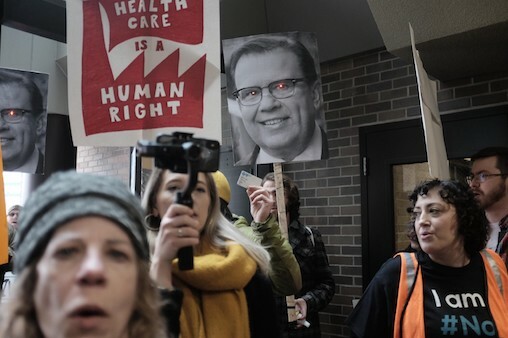 "Understandably, the transition to a new lead sponsor and an extensive rewrite process has created some nervousness and confusion in sections of the single-payer advocacy community." Welcome to the February edition of All In! Comprehensive coverage for hospital and outpatient services, prescription drugs, dental, vision. We’re excited to join NNU and other coalition partners to rally people around the most promising healthcare bill in decades!